Author/Opus: This is the 2nd puzzle from guest contributor Bryce Herdt (the 1st was his winning submission for our first hidden contest). 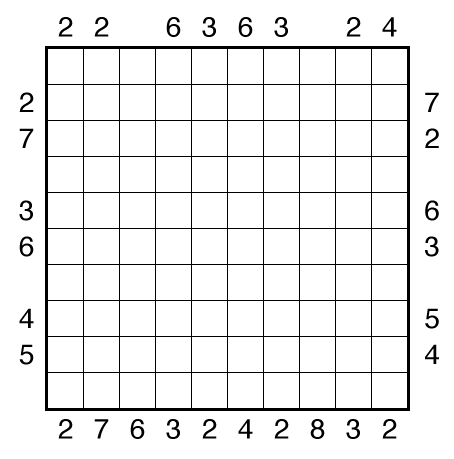 Rules: Draw a single loop in the grid which may cross itself orthogonally, but otherwise does not touch or retrace itself. 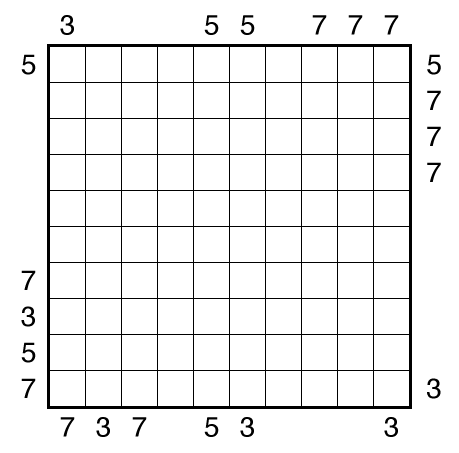 The clue numbers to the left/right of the rows indicate the number of squares visited by the nearest section of the loop that travels horizontally in the rows. 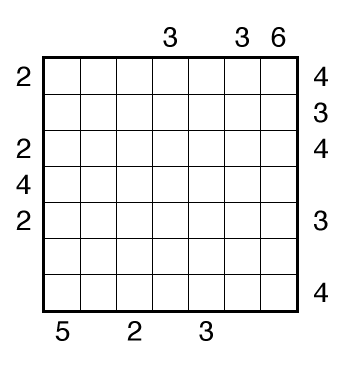 The clue numbers to the top/bottom of the columns indicate the number of squares visited by the nearest section of the loop that travels vertically in the columns. 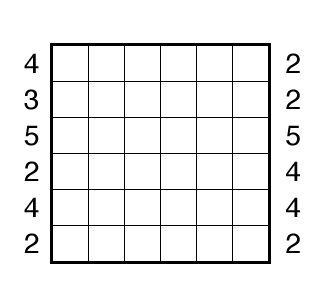 Answer String: Enter the number of empty squares for each row from top to bottom, followed by a comma, and then the number of turns for each row from top to bottom. 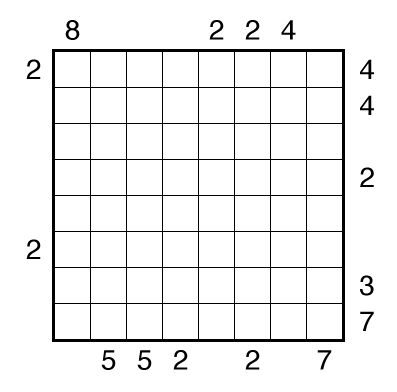 This example has the key “100000,422224”. 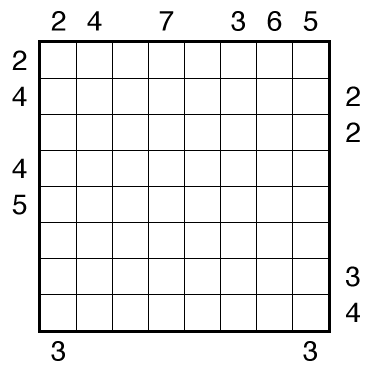 Note: Follow this link for other Round Trip puzzles. 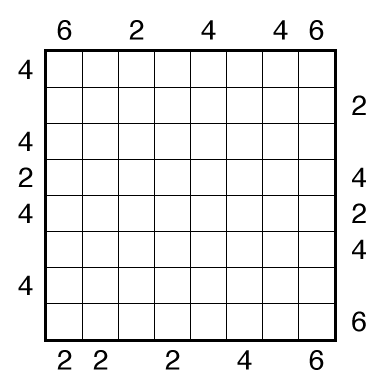 Author/Opus: This is the 151st puzzle from our contributing puzzlemaster Grant Fikes. Author/Opus: This is the 10th puzzle from guest contributor Hans van Stippent. Author/Opus: This is the 8th puzzle from guest contributor Craig Kasper. Author/Opus: This is the 7th puzzle from guest contributor Craig Kasper. Author/Opus: This is the 6th puzzle from guest contributor Craig Kasper. Author/Opus: This is the 5th puzzle from guest contributor Craig Kasper.